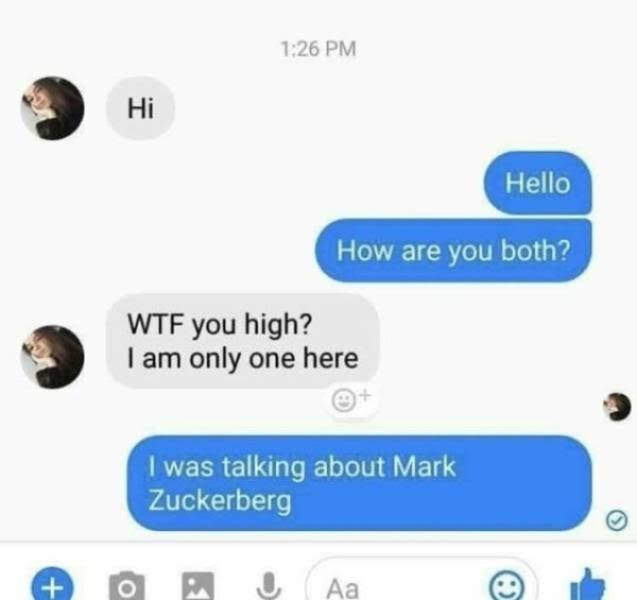 If you ever plot against Mark Zuckerberg, it probably wouldn't be a good idea to use Facebook Messenger. Just saying. You mean that's not how they work? Is there a #MeToo for airline passengers? Securus? More like "Secure us!" Do you know a threat when you see it?